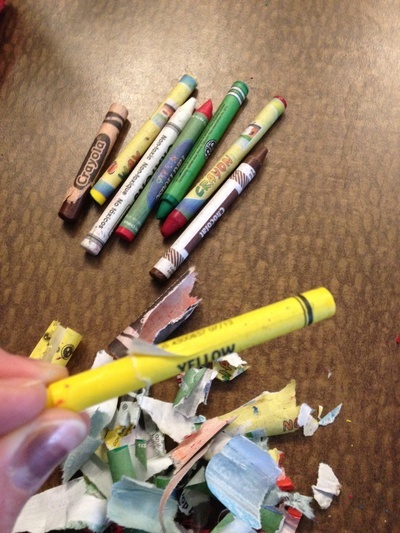 Repurpose all those old broken wax crayons that are lining the bottom of your child's colouring bin into something beautiful. 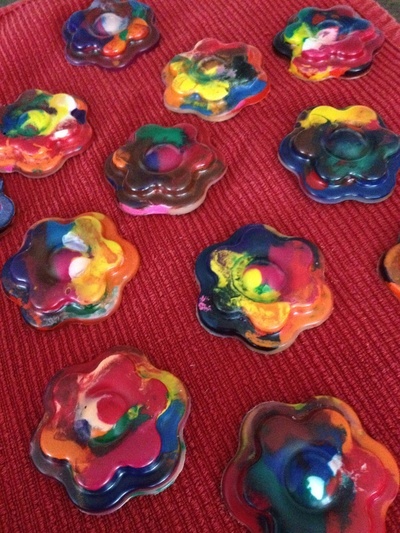 We made these for our little playschool friends to enjoy for some summer fun. They would also be a cute and inexpensive party favour. 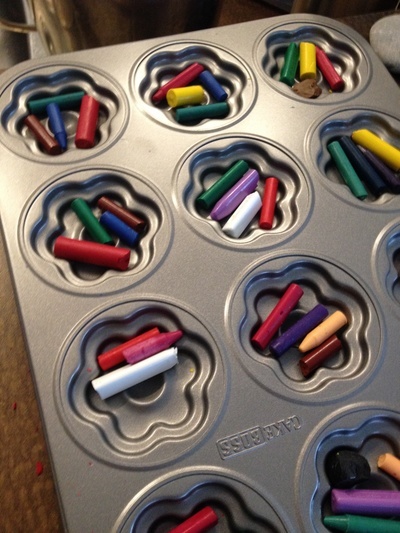 Option#1 (quicker) put in oven at a low temp (250) until crayons melt into liquid form. 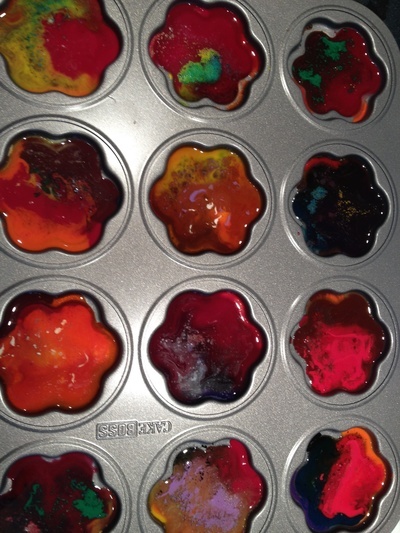 Don't let them overheat, as soon as they are melted remove carefully and place on heat resistant surface until cooled. 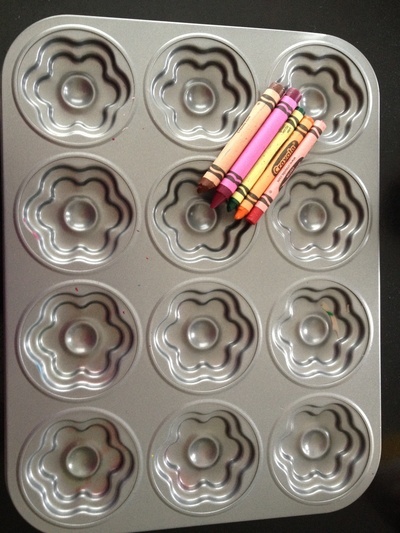 Option#2 (fun for the kids to watch) depending on the climate you live in and/or the time of year, place tray outside in the sun and watch the crayons melt into new shapes. 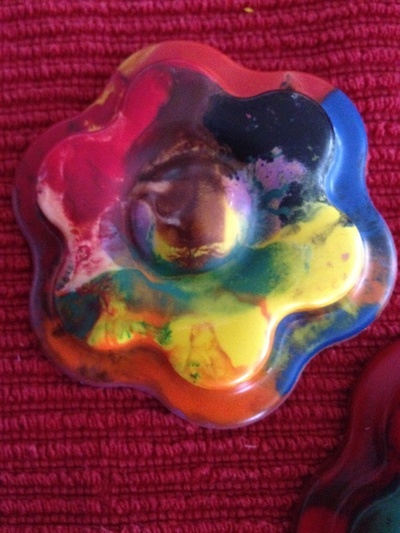 The end result is very cool and is really a hit with all our little friends as they have a cool multicoloured shaped crayon that lasts and lasts! When they do eventually break or get worn, melt them down into different shapes.